Market studies show that consumers have multiple needs for their good health. UFC 100% Juice, made from carefully selected fruits and vegetables, help restore, rejuvenate and revitalize the body. 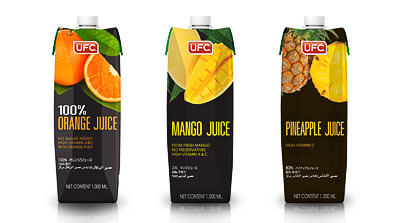 UFC Juices are available in 1 litre tetra pack with recap.